INDIANAPOLIS, Dec. 12, 2013 – 2013 World all-around champion Simone Biles of Spring, Texas/Bannon's Gymnastix, 2012 Olympic team gold-medalist and 2013 World all-around silver-medalist Kyla Ross of Aliso Viejo, Calif./Gym-Max, and 2012 Olympian Sam Mikulak of Corona del Mar, Calif./University of Michigan, have accepted invitations to represent the United States at the 2014 AT&T American Cup, scheduled for Saturday, March 1, 2014, at the Greensboro (N.C.) Coliseum Complex. Biles, who is also the U.S. all-around champion, will be in the North Carolina's Triad area on Dec. 21 to visit gymnastics clubs and sign autographs at the Hanes Mall in Winston-Salem at 1:30 p.m. 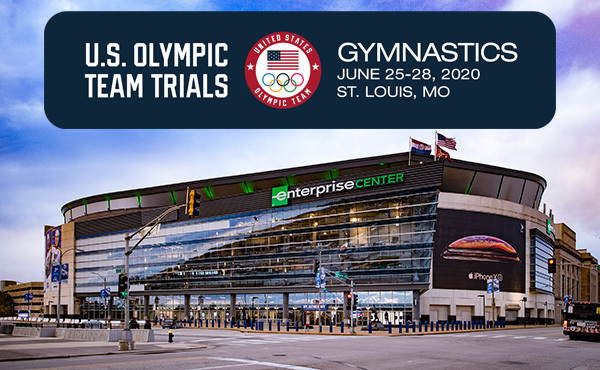 The AT&T American Cup, the most prestigious international gymnastics invitational held in the United States and an International Gymnastics Federation World Cup event, features top male and female all-around gymnasts from around the world. Biles and Ross finished one-two, respectively, in the all-around at the World Championships, becoming just the third U.S. duo to take the top two all-around World spots. In addition to her all-around title, Biles also won the floor exercise gold, the vault silver and the balance beam bronze medals. Earlier this year, Biles won her first U.S. all-around title and was second at the AT&T American Cup. At Worlds, Ross also earned the silver medals for the balance beam and uneven bars. Ross, who was awarded the Longines Prize for Elegance, won the U.S. titles for the uneven bars and balance beam, as well as finished second in the all-around, at the 2013 P&G Championships. She was a member of The Fierce Five, the U.S. Women's Team that won the team gold medal at the 2012 Olympic Games. Mikulak finished sixth in the all-around and fourth on the horizontal bar at the 2013 World Championships. 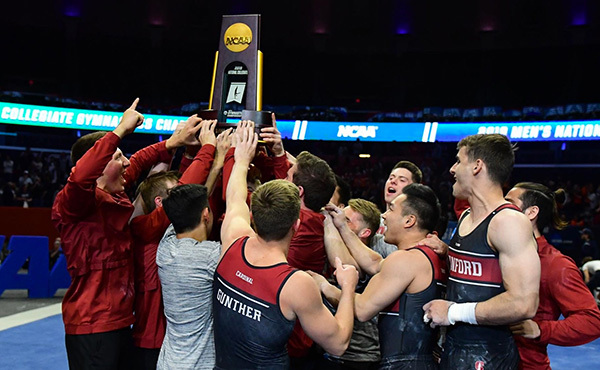 He enjoyed an incredible 2013, winning the all-around crown at the Big Ten Championships, NCAA National Championships and the P&G Championships. He also claimed the parallel bars and high bar titles at both the NCAA Nationals and P&G Championships. Mikulak was a member of the U.S. Men's Team for the 2012 Olympic Games, where he competed in the vault finals. A second U.S. man will be named to the field in 2014. 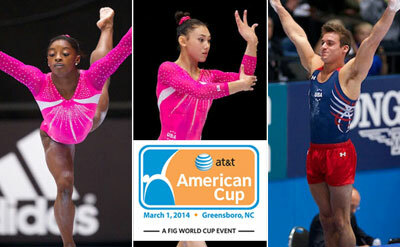 Invitations to compete in the AT&T American Cup are based on performances at the 2013 World Gymnastics Championships. The international field is expected to be announced in early 2014. 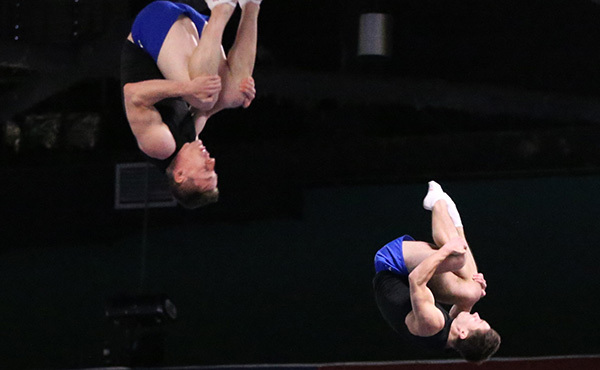 The American Cup became a FIG World Cup event in 2011 and is part of the FIG's all-around World Cup series. Ticket prices, which range from $25-$125, include facility fees and vary according to ticket location. Tickets are available at www.ticketmaster.com, Ticketmaster outlets, charge-by-phone at 1-800-745-3000, and the Greensboro Coliseum box office. For group (10+ people) sales information, please call the Coliseum group sales department at (336) 373-7433. Discounted tickets are also available through local gym clubs that are participating in the Club Ticket Sales Program. For more information, go to attamericancup.com. 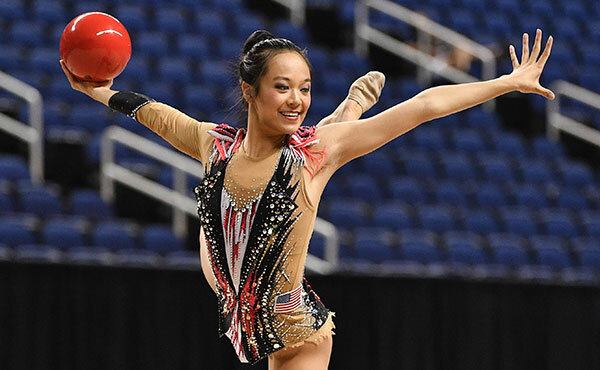 In conjunction with the AT&T American Cup, the Nastia Liukin Cup, which features many of the country's top Junior Olympic female gymnasts, will be held Feb. 28 at the Greensboro Coliseum Complex. The Nastia Liukin Cup, named after the 2008 Olympic all-around gold medalist, showcases gymnasts who qualify through the Nastia Liukin Cup Series. 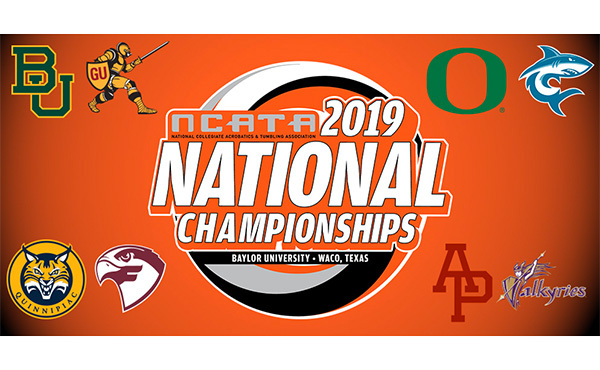 The Cup series includes many of the country's top invitationals held throughout January and February. Greensboro will become "gymnastics central" the last week of February because the 2014 Greater Greensboro Invitational is scheduled for Feb. 26-March 2, 2014, and will serve as the final qualifying event for the Nastia Liukin Cup. This is the first time the event has been part of the Nastia Liukin Cup Series. In addition, the equipment and podium brought in for the AT&T American Cup will be used for the finals for designated women's sessions of the invitational. The USA's Katelyn Ohashi of Allen, Texas/WOGA, and Jake Dalton of Reno, Nev./University of Oklahoma, won the 2013 AT&T American Cup. 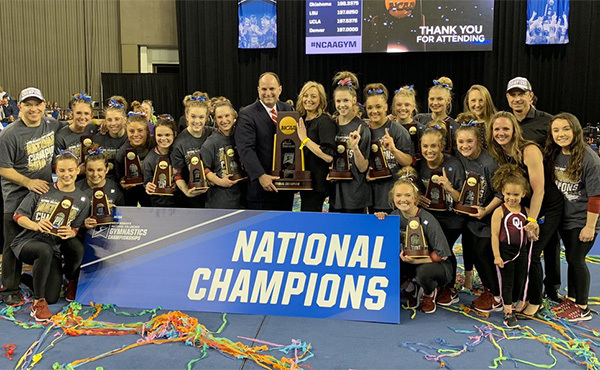 They join an impressive list of former American Cup champions, including Bart Conner, Tim Daggett, Paul Hamm, Jonathan Horton, Shawn Johnson, Danell Leyva, Liukin, Shannon Miller, Carly Patterson, Mary Lou Retton, Peter Vidmar and Jordyn Wieber. Past sites for the American Cup include: New York City (1976-80, 1982-84, 2004, 2008, 2012); Ft. Worth, Texas (1981, 1996-98); Indianapolis, Ind. (1985); Fairfax, Va. (1986-90, 2003); Orlando, Fla. (1991-94, 2000-02); Seattle, Wash. (1995); St. Petersburg, Fla. (1999); Uniondale, N.Y. (2005); Philadelphia (2006); Jacksonville, Fla. (2007, 2011); Hoffman Estates, Ill. (2009); and Worcester, Mass. (2010, 2013). The Nastia Liukin Cup made its debut in 2010 in Worcester and returned in 2013. Other sites for the Nastia Liukin Cup are Jacksonville, Fla. (2011) and New York City (2012). AT&T. AT&T Inc. (NYSE:T) is a premier communications holding company and one of the most honored companies in the world. Its subsidiaries and affiliates – AT&T operating companies – are the providers of AT&T services in the United States and internationally. With a powerful array of network resources that includes the nation's fastest and most reliable 4G LTE network, AT&T is a leading provider of wireless, Wi-Fi, high speed Internet, voice and cloud-based services. A leader in mobile Internet, AT&T also offers the best wireless coverage worldwide of any U.S. carrier, offering the most wireless phones that work in the most countries. It also offers advanced TV service with the AT&T U-verse® brand. The company's suite of IP-based business communications services is one of the most advanced in the world. Additional information about AT&T Inc. and the products and services provided by AT&T subsidiaries and affiliates is available at http://www.att.com/aboutus or follow our news on Twitter at @ATT, on Facebook at http://www.facebook.com/att and YouTube at http://www.youtube.com/att. © 2013 AT&T Intellectual Property. All rights reserved. AT&T, the AT&T logo and all other marks contained herein are trademarks of AT&T Intellectual Property and/or AT&T affiliated companies. All other marks contained herein are the property of their respective owners. 4G LTE speed claim based on national carriers' average 4G LTE download speeds. Reliability claim based on data transfer completion rates on nationwide 4G LTE networks. 4G LTE availability varies. Greensboro Coliseum Complex. The Greensboro Coliseum Complex is a multi-building facility designed to serve the citizens of Greensboro and the surrounding area through a broad range of activities, including athletic events, cultural arts, concerts, theater, educational activities, fairs, exhibits, and public and private events of all kinds including conventions, convocations and trade and consumer shows. The Greensboro Coliseum Complex is one of the most actively booked facilities in the country hosting more than 1,000 events on an annual basis. With its incredible versatility, the Complex has gained worldwide acclaim from promoters, producers, event planners and patrons. For more information; www.greensborocoliseum.com. International Gymnastics Federation (FIG). The International Gymnastics Federation is the governing body for gymnastics worldwide. It is the oldest established international sports federation and has participated in the Olympic Games since their revival in 1896. The FIG governs seven disciplines: gymnastics for all, men's artistic, women's artistic, rhythmic, trampoline, aerobic and acrobatic. It counts 135 national member federations and boasts a 27-person staff at its international seat in Lausanne, Switzerland, host city of the International Olympic Committee (IOC). For more information, go to www.fig-gymnastics.com.